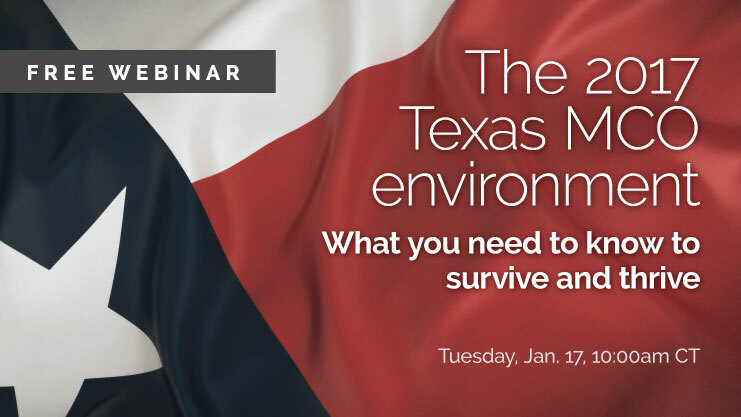 In this information-packed webinar, you’ll learn the latest details about Texas MCO billing and administration from some of the state’s top experts. You’ll get the facts on the latest Managed Care regulatory changes as well as practical advice on managing MCO workflow and protecting your reimbursement in 2017. Also included is a brief update on the latest SimpleLTC tools for simplifying the complexities of MCO reporting and analysis. Hi Alta — I’ve registered you. Please let me know if you received the confirmation email. Does this only apply to Texas based providers or do you feel providers in other states would benefit? Hi Patty — This would only apply to a provider in Texas or a company with Texas facilities. Hi Donna — You can find the recording/slides here: http://www.simpleltc.com/mco. I have attended the webinar and would like the slides, where can I locate the link? Hi Laura — You can find the slides on this page.